Today we welcomed our newest recruit to the Kinnegar team. 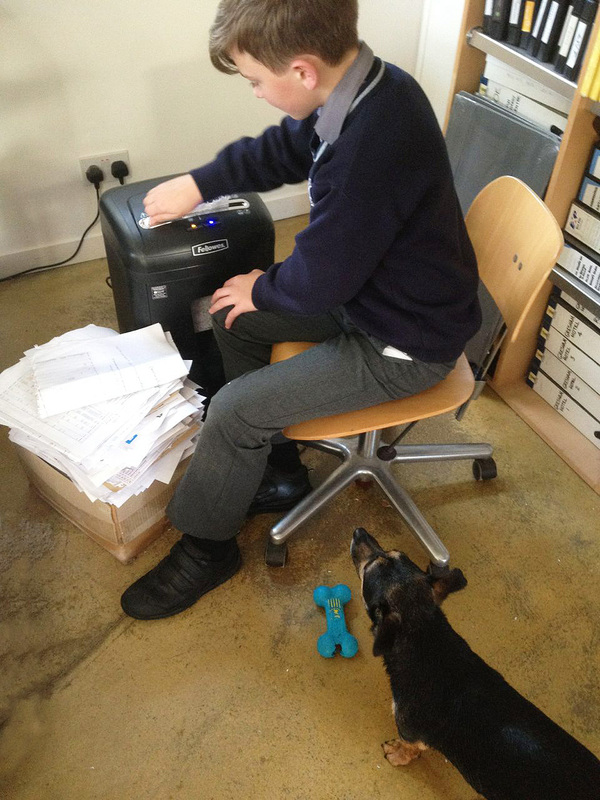 Rachel’s son Eoin has been appointed Chief of Paper Shredding Operations, quickly getting to grips with our latest purchase. Foreman Zack supervised the young apprentice and gave Eoin full marks for bone-throwing during the 15-minute interval in proceedings that allowed the hard-pressed shredder to cool down. This entry was posted on September 21, 2015 by kinnegarbrewing. It was filed under A brewery grows .